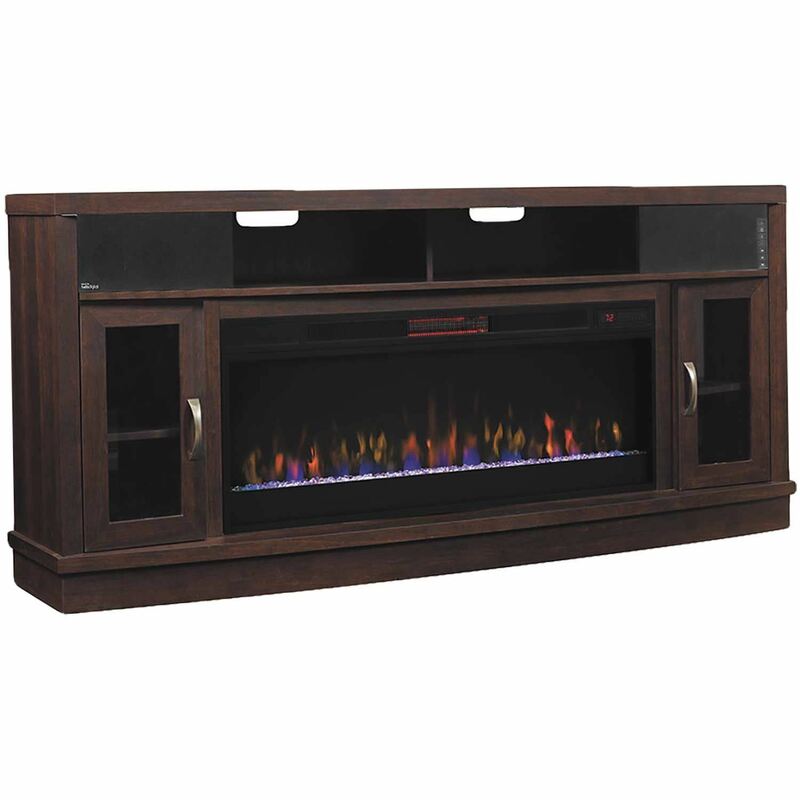 The Deerfield Media Mantle by Classic Flame puts more excitement into your entertainment space. 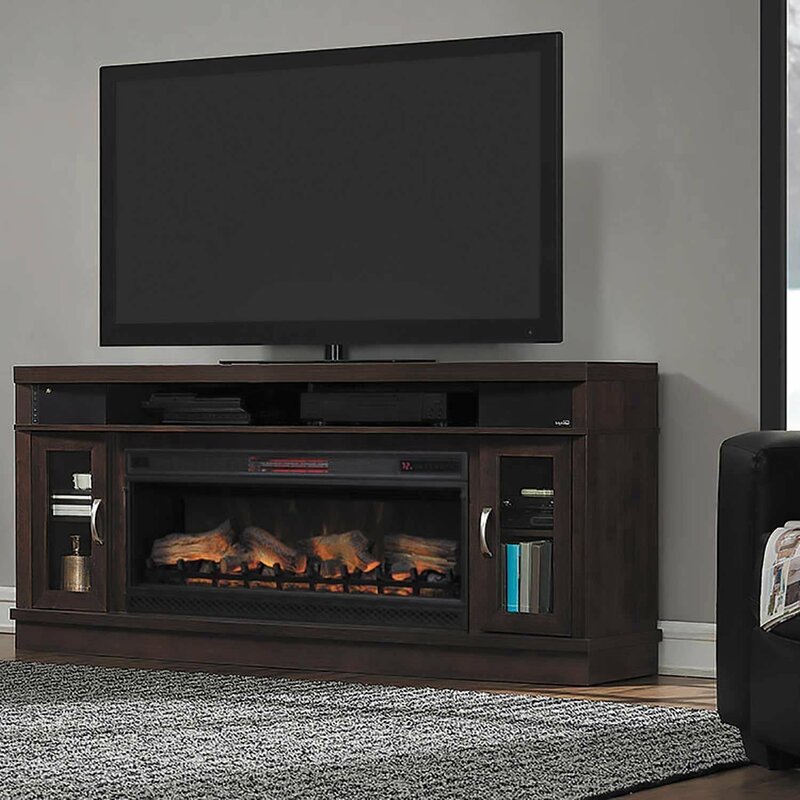 The stunning 42-inch wide electric fireplace insert heats up to 1000 square feet with its infrared heater and cranks up the ambiance during the warmer months. 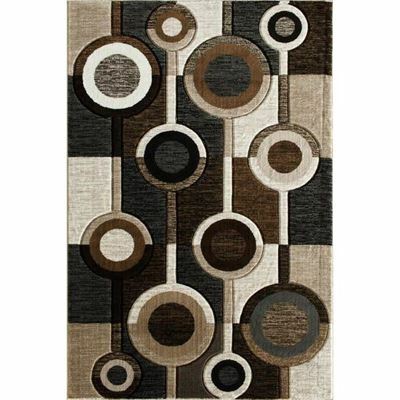 Includes both decorative logs and crystal rock for classic or modern effect. 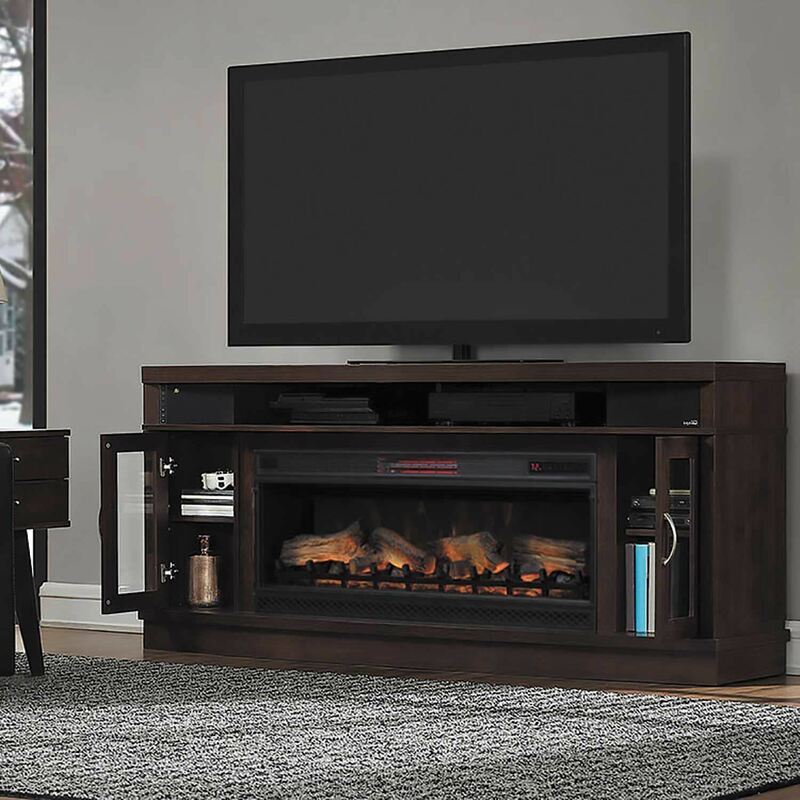 Deerfield Media Fireplace by Classic Flame. 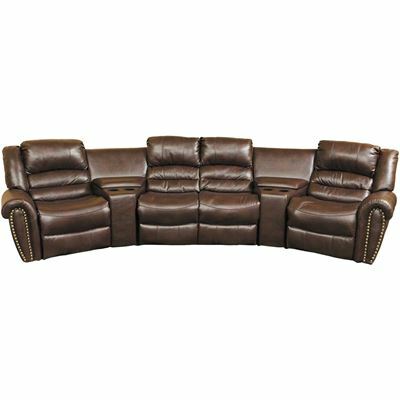 Constructed of solids and veneers. 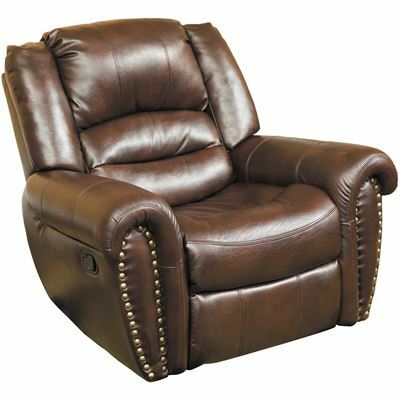 In antique brown cherry finish. 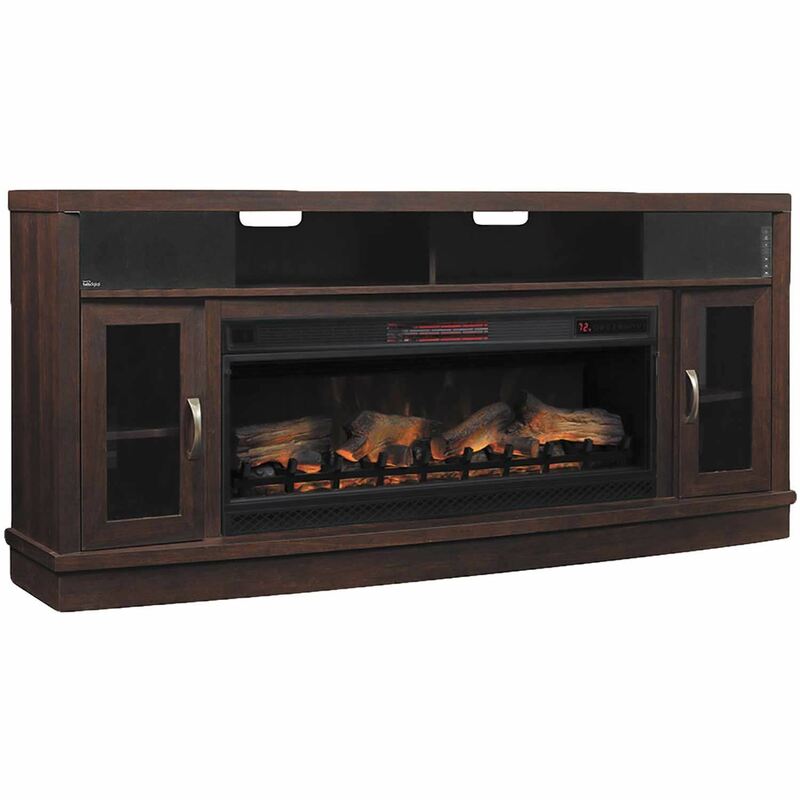 42-inch infrared firebox features 3-D flame effect and heats up to 1000 square feet. Heat and flame are easily adjusted with the included remote control. 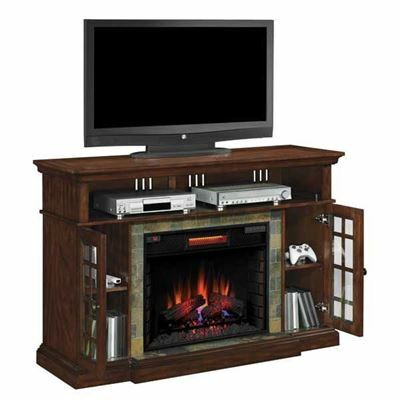 Partitioned media shelf with wire management. 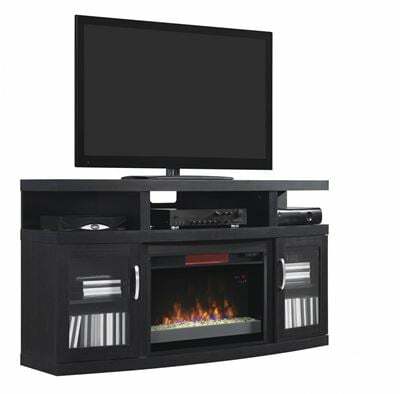 Two side cabinets with adjustable shelves. Easy to assemble with just a Phillips head screwdriver. 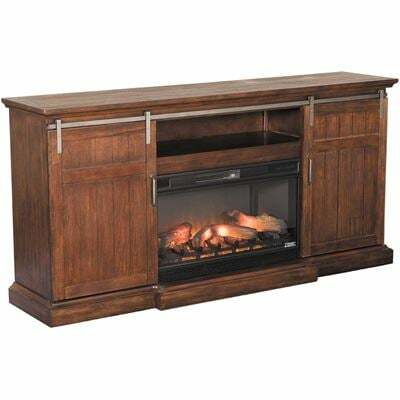 42-inch fireplace insert included interchangeable logs or crystal stones to create a classic or more modern look. 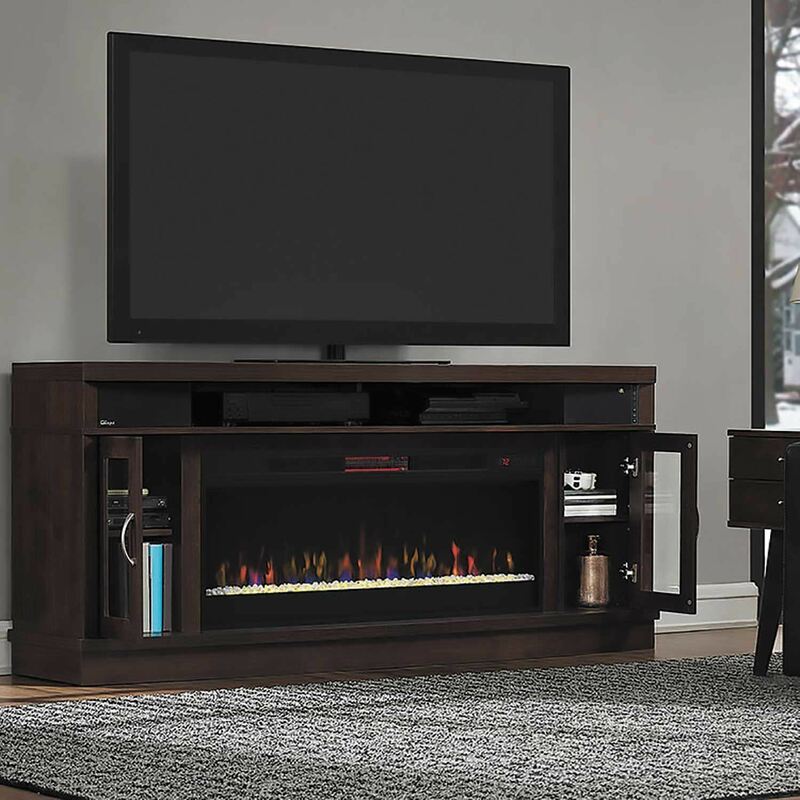 Tipping restraint hardware included to help prevent accidents and damage to the TV stand.